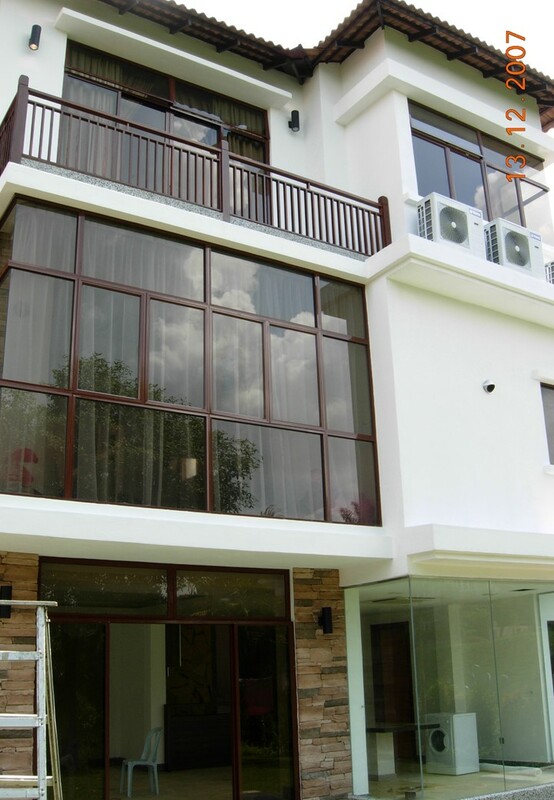 Wong's Residence was our maiden Bungalow project situated at the highly guarded and gated residential enclave of Sierramas where a strict compliance of development guidelines are the order of the day. To blend into the neighborhood of the surrounding area which is almost a vernacular precinct, we adopted Modern Vernacular approach whereby the design and form making are contemporary modern devoid of ornaments with corner windows and huge glazing but the materials are a combination of slates and rock face cladding. Such is a typical vernacular ala Balinese style. The road front elevation is rather simple and subtle double storeys almost synonymous with its neighbor. The profile of the site with higher front and lower back allowing a more majestic looking rear of a three storeys. With such land form, it allows the based to be more solid with a lighter body. heavy rock cladding is employed.